At Denver Physical Medicine, we are thrilled to provide our patients with a wide range of innovative treatments and services, including regenerative medicine. 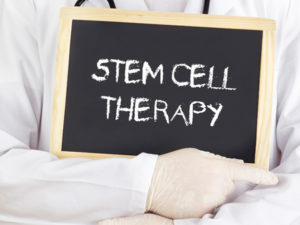 Regenerative medicine differs from traditional medicine because it seeks to alleviate pain and restore function by solving the underlying problem by restoring damaged tissue using the body’s own tissue or stem cells. These cutting-edge treatments provide effective relief in a manner that is much safer than many conventional treatments, and they are becoming increasingly popular for the treatment of numerous injuries. Despite the growing popularity of regenerative medicine, however, it is still widely misunderstood. What is regenerative medicine, exactly? Let’s take a closer look. Regenerative medicine focuses on the body’s natural ability to heal itself. It extends beyond the body’s ability to heal minor scrapes and cuts, though, and focuses on the larger picture of healing things like organs and tissue that have been injured or impacted by disease. In modern regenerative medicine, the body’s own tissues or stem cells are used to repair damage caused by illness or injury. At Denver Physical Medicine, our regenerative medicine services include stem cell therapy and platelet-rich plasma injections. Because your own cells or tissue are used during treatment, there is no chance of experiencing negative side effects. There is also no risk of rejection. Mainstream medical treatments often focus on treating the symptoms of diseases and injuries. They are rarely capable of treating the root cause. The goal of regenerative medicine, however, is to correct the underlying problem to eliminate the symptoms. This provides hope for patients who suffer from chronic pain or conditions which they have been told are incurable. At Denver Physical Medicine, we offer regenerative medicine in Denver for a wide variety of injuries and illnesses. If you are interested in learning more, please contact us today to schedule a consultation.